Mrs. Lester came to Ss. Peter and Paul in September of 2003 and quickly became an integral part of its learning community. She holds a Masters of Science in Educational Computing from the State University College at Buffalo and a Bachelor of Science in Business Administration. She is certified to teach elementary education, K-6. Mrs. Lester started the school’s newspaper, Ye Olde Chronicle, and led her students in winning the 2008-09 Stock Market Game sponsored by the Buffalo News. Hard working and extremely creative, Mrs. Lester always welcomes her students with a smile and the utmost professionalism. She works long and productively both during the school year and in the summer. Because of her dedication, organizational skills, and sensitivity to the needs of the students, Mrs. Lester was appointed as Assistant Principal of Ss. Peter and Paul School in 2009. 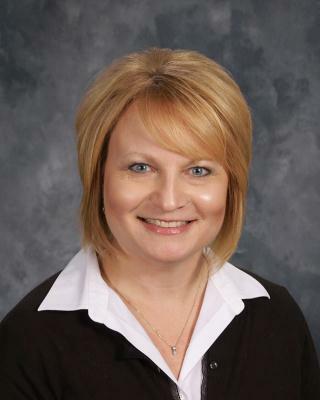 She completed the School Building Administration program at Canisius College and assumed the role as Principal of Ss. Peter and Paul School upon Mrs. Maines’ retirement in July, 2012. She and her husband John are the proud parents of James, a graduate of SSPP who will be graduating this year from St. Joe’s Collegiate Institute and will attend Niagara University in the Fall.